As I write this, there are two major lottery jackpots that are each well into nine figures. It’s very tempting to buy a ticket and get rich overnight, but don’t. You’re more likely to get struck by lighting several times than you are to win the lottery. There is nothing wrong with buying a lottery ticket every once in a while. But there is a fine line between once in a while and making it a habit. Just like there is a fine line between having an occasional glass of wine and consuming an entire bottle every night. 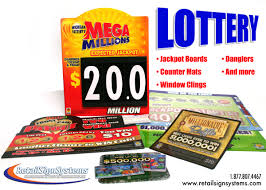 The average American spends $540 a year on lottery tickets. That’s $45 a month. Sadly, people who make under $10,000 a year spend an average of $597 a year ($49.75 a month) on the lottery. That’s 6% of their income! A recent survey found that 55% of all Americans who make less than $45,000 year said the only way they would ever become a millionaire is if they won the lottery. If these people would take that $45 a month and invest it in a decent mutual fund averaging 11% interest a year (the stock market average for over 80 years) from age 18-65, they would have just under $730,000. If those spending $597 a year invested that money instead, they would have almost $807,000. Now you might be saying, “yeah, but the lottery jackpot is often a few hundred million dollars.” True, but there is a difference. With the lottery the odds of winning are usually around 1 in 180,000,000. If you invest it instead, you’re almost guaranteed to be rich. Please stop thinking that investing is only for the rich. People don’t invest because they’re rich, people are rich because they invest. Think about that the next time you scratch off another losing ticket. The stock market. It may seem scary to some people, but it doesn’t have to be. Most people look at the stock market as a place for only rich people. But people don’t invest because they’re rich, they’re rich because they invest. Make sense? To put it another way, it’d be like saying, “only skinny people go to the gym.” Wrong! They don’t go to the gym because they’re skinny. They’re skinny because they go to the gym. 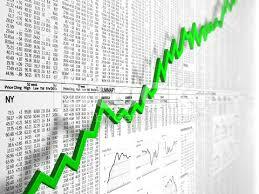 The stock market is the easiest and best way to make money for the long term. It’s averaged about 11% for over 80 years now. Here’s an example of what that means exactly. If you put just $100 in the stock market and it averages 11%, and you never add another dime to it, after 80 years that Benjamin would be worth over $422,000. Sure, you don’t have 80 years. But you can also invest more than just $100. Say someone graduates from college at age 22 and they invest $100 every month (that’s barely three bucks a day, less than coffee and a muffin on the way to work). At age 65 when they’re ready to retire, they’d have $1,064,000. Over a million dollars from just about $51,000 out of their pocket. Not a bad deal, huh? But here’s the weird part. Let’s say that person waited until they were 23 to start investing but still invested $100 a month. At age 65 they’d have $957,000. Over $100,000 less for waiting one year and only $1200 out of their pocket. Now maybe you didn’t just graduate from college. Maybe you’re nowhere near that young. Not to worry. Sure, you’ll have to invest more each month, but you can get there. If you’re 30 and invest just $220 a month, you can still have a million at age 65. Start at 40 and it takes an investment of $665 a month to have a million. And once you’re over 50, the government allows you to put more each month in an IRA to catch up. If you know someone still in school, teach them this valuable lesson while they’re still young. Next month I’ll get more into exactly what to invest in. It’s much easier than you think. As always, check out my website at http://www.johnfloyd.com to find out more. Last month I talked about cash advance stores and how you should avoid them. This month I’m going to talk about another type of business to avoid – Rent to Own places. 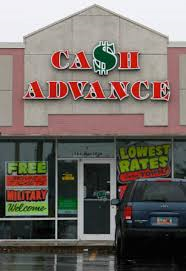 Just like with cash advance places, they barely existed 25 years ago. But now you see them everywhere. 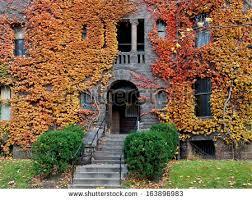 And just like with cash advance places, you only see them in not so great neighborhoods. Never in nice ones, because people in nicer neighborhoods would never do business with them. That’s why they can afford to live in nice neighborhoods. Because they weren’t silly enough to pay (in some cases) 1000% interest on an appliance. Let me explain. Rent to Own places thrive on people who can’t do math. They also cater to people who think only about small weekly or monthly payments instead of thinking long term. They will gladly rent you a new TV for $25 a week for 36 months. Sounds like a good and affordable deal. But that adds up to $1,950 over those 36 months. This for the same TV you could have bought in a store for about half that. And, of course, these places advertise that they will rent you anything with “no credit check.” How nice of them. They know that the type of customers they are looking for have terrible credit. If they actually only rented things to people with good credit, they would soon be out of business. There is only one occasion when you should even consider setting your foot in one of these places and that’s when you’re looking to buy an appliance for a good price. Many times they will give you a really good deal on a used item, especially when you are paying cash (which, of course, you are). Just like you should never buy a used car and instead let someone else pay the depreciation, you should look to get a good deal on an appliance that someone else was silly enough to rent for a while. 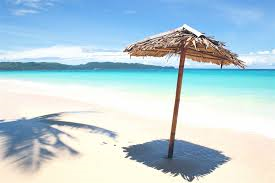 In my past few blogs I have written about places that are trying to rip you off. Car dealerships that brag about financing to people with terrible credit, attorneys trying to convince people that it’s smart to file for bankruptcy and banks telling you that borrowing money will help you get out of debt. All ridiculous, right? Well, today I’m going to begin a series on a few other types of businesses that are trying to rip you off. 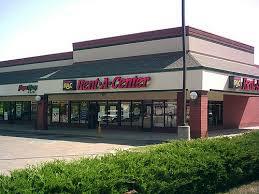 I’ll start with one of the worst – cash advance places. Not that long ago they didn’t even exist. Now they are about as common as gas stations. You see them on every block. Fortunately, some states have made them illegal. But there are still plenty of places where they are everywhere. The way these places work is pretty simple. You go in, write a check that they hold, then they give you the money and cash the check on your next payday. Sounds easy, but there’s one problem. The amount you write the check for is, of course, more than the amount they give you. A whole lot more. That’s how they make their money. They charge you to take their money. In many cases it comes out to an annual rate of 400% or even more. Basically these places are like loan sharks in a strip mall. It may sound harmless to borrow one time. But very few people borrow just one time. And these places know that. If someone writes a check for more than they borrow, then when that check is cashed they will start off their next pay period in a hole. Then they’ll go back and borrow more to catch up. Then again and again. That is exactly what they want you to do. They are like drug dealers who want you to get addicted to what they have for sale. Something similar are places that charge you a fee to cash your paycheck or pay bills in person. They are taking advantage of people who don’t have a checking account because they are convinced they cost too much money. Meanwhile they pay a few bucks here to cash their check and a few bucks there to pay their power and cell phone bills. But those few dollars here and there add up every month. There are many banks that offer free checking, but even if you pay a small fee it’s a lot less than what you’d pay to these places. Avoid them at all costs. Ever notice these types of places are usually not in the best neighborhood? You tend to see them in the same shopping complex as liquor stores, laundromats and pawn shops. You never see them right next to a country club. Why is that? Many people may be thinking it’s because those who live near country clubs don’t need them. Wrong! It’s because people in nice neighborhoods would never use them. They don’t avoid these places because they’re rich. They’re rich because they avoid these places. Think about that!